After five years of negotiations, a deal has finally been reached on the Trans Pacific Partnership Agreement (TPP). But details are sketchy and the final text may not see daylight for several weeks, as it undergoes what’s quaintly referred to as “legal scrub” – the painstaking dotting of the i’s and crossing of the t’s by each of the participating countries’ lawyers. Before this final round of negotiations in Atlanta, only a handful of issues remained in the way of concluding the massive 12-country trade and investment agreement. One of them – a potential deal-breaker for Australia – was intellectual property protections for biologics, which are expensive medicines derived from living organisms. In the United States, biologics are protected from competition by follow-on products (known as biosimilars, which are akin to generic medicines) for 12 years from the time they’re first granted marketing approval by the nation’s drug regulator, the Food and Drug Administration (FDA). This form of protection from competition is distinct from a patent. It prevents a follow-on product from entering the market even when any patents on the originator product have expired. These 12 years are known as the market exclusivity period. In the TPP negotiations, the biopharmaceutical industry has been insisting the United States push its potential partners to adopt a similar period of exclusivity, together with a whole series of other onerous intellectual property provisions, such as requirements to allow patenting of diagnostic, therapeutic and surgical methods of treatment, and of new forms, uses, or methods of using medicines. Importantly, Australia doesn’t currently have a market exclusivity provision for medicines. Instead, the local drug regulator, the Therapeutic Goods Administration (TGA), provides a “data protection” period of five years for all prescription medicines. During this time, a follow-on product can’t rely on the data submitted to the TGA to support the originator drug’s registration to gain marketing approval. Without being able to rely on these data, follow-on manufacturers would be forced to repeat the often long – and always expensive – clinical trials required for marketing approval. Repeating the clinical trials would arguably be unethical, since the question of whether the drug is safe and efficacious has already been answered. Under existing legislation, the TGA can’t begin to evaluate a biosimilar application during the data protection period. So a follow-on product is unlikely to get to market until at least six years after the originator first enters it. Why then has all this been so important that it stalled the signing of a major trade agreement? Biologics are used to treat various cancers, multiple sclerosis, a range of immunological conditions, as well as diabetes (insulin is a biologic). They’re the fastest growing segment of the pharmaceutical market globally. When a biosimilar product is listed on Pharmaceutical Benefits Scheme (PBS) and becomes subsidised by the government, it automatically triggers a 16% price reduction on all versions of the product. Biologics are expensive, so this can amount to tens of millions of taxpayers’ dollars saved every year on just a single product. Trade Minister Andrew Robb had repeatedly said Australia wouldn’t agree to any TPP provision that would undermine the PBS or go beyond the provisions of the Australia-US Free Trade Agreement (AUSFTA). And this meant holding the line at five years of data protection. 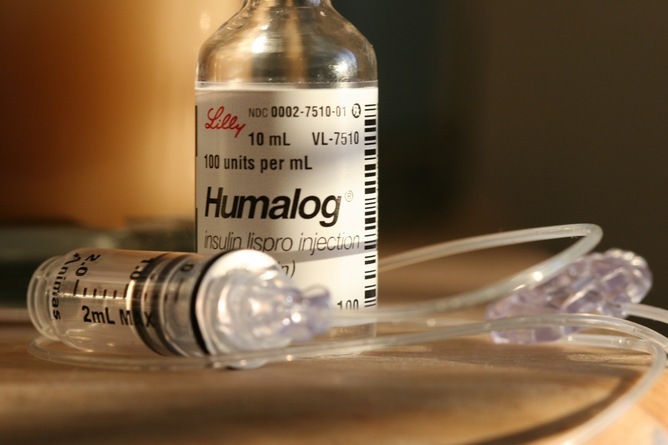 Biologics are medicines derived from living organisms and include insulin. But recent reports have suggested negotiating countries have reached some form of compromise involving a formal period of data protection of five years (the status quo in Australia) with an additional period of up to three years of “safety monitoring” before a biosimilar can be registered. It’s unclear what precisely this would entail, other than representing a period of time in which a follow-on product would be prevented from entering the market. If it’s true, this would effectively become an eight-year market exclusivity period. The devil will be in the details of the agreement. But it’s difficult to see how any extension of monopoly protection could be accomplished without an amendment to Australia’s Therapeutic Goods Act. And that is likely to be politically challenging in an election year, particularly given widespread public concern over the potential for the biologics provision to increase PBS costs. … missed the opportunity to encourage innovation that will lead to more important, life-saving medicines… This [12-year] term was not a random number, but the result of a long debate in Congress. The industry originally sought 14 years of exclusivity in the United States. 12 years was the outcome of prolonged political horse-trading. But the industry has never put forward a convincing argument in support of longer periods of data exclusivity, nor any evidence that longer protection leads to new and better drug development. And the US Federal Trade Commission said as far back as 2009 that a market exclusivity period for biologics might not be warranted at all. It found there was no evidence of a lack of patentability of new biologic products, nor that market forces weren’t adequate to stimulate their development – two of the arguments often used to support longer data exclusivity. The significance and endurance of the data protection issue in TPP negotiations can’t be overestimated. It was equally contentious in the 2004 AUSFTA, and it also went down to the wire then. The issue then wasn’t about exclusivity for biologics, as the US hadn’t yet established a regulatory pathway for approval of biosimilars. Instead, the US pharmaceutical industry was pushing for an additional period of three years of data protection for new uses of existing medicines. This would have meant up to eight years of data protection for all prescription medicines in Australia. Had it been agreed to, it would have resulted in significant additional costs to the PBS. Those who’ve waded through the Intellectual Property Chapter of the AUSFTA might be forgiven for thinking that Australia had actually agreed to the “five plus three” model. But a small footnote provides a kind of get-out-of-jail-free card for Australia, while still retaining the model in the negotiating template. It refers to the fact that data protection in Australia is granted to combination products where at least one of the components has not been registered before. In the US, exclusivity is limited to combination products where none of the component products have previously been registered. The scope of protection in Australia is thus broader. This is retained as a quid pro quo for the extra data protection. The obvious question then is whether there’s a similar “out” in the TPP text and, if so, what will the obligations be for other TPP countries? Another key question relates to the remainder of the TPP’s intellectual property chapter, and which other expansions of intellectual property protection sought by the US have been agreed to. Before we can begin to breathe more easily on biologics, we need to know what Australia has horse-traded in other chapters of the agreement to get an “acceptable” outcome on this issue. But it will be some weeks yet before we can find out.